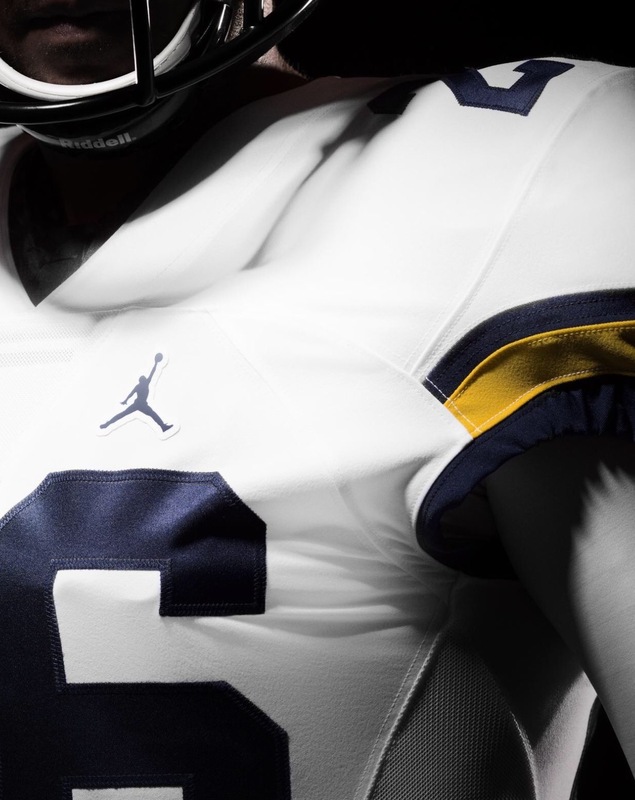 Michigan unveils their new Nike Jumpman uniforms. Overall, I like 'em. I mean, what's not to like here? 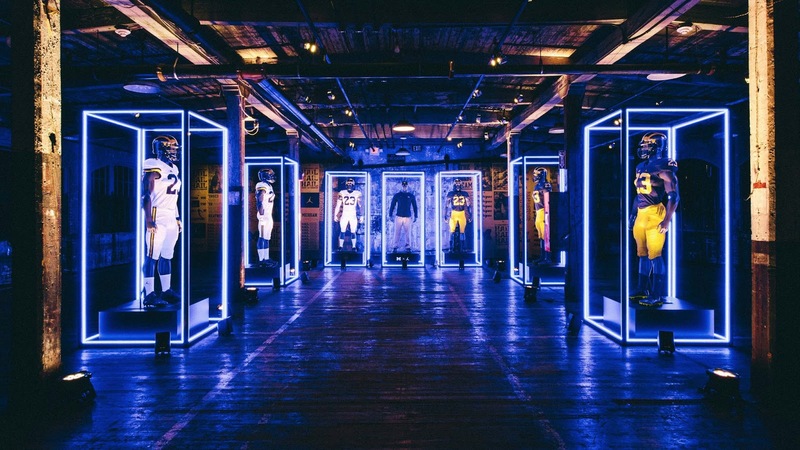 Unless you're a stickler and are hung up on the idea of a basketball player on the football jersey, then that's going to be a thing. I suspect over time, you'll just get used to it. The numbers have changed (see above pic). The 2, 4, and 5 stand out to me as being notably different from the previous font. 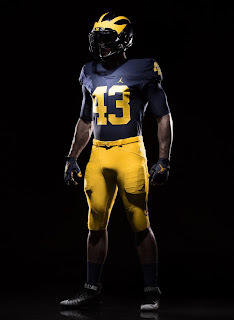 The home jerseys have remained unchanged, as well they should. 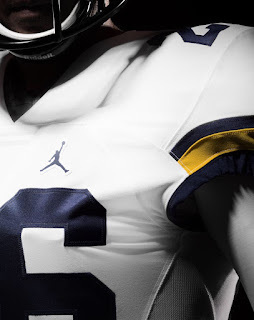 On the road unis, I like the details of the arm/shoulder stripes. 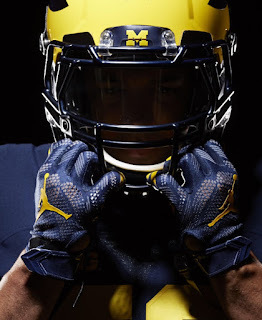 I love that the color and width match the maize stripe on the helmet. Great little touch there. No weird piping...no swatches of maize anywhere. Simple and clean. I suspect the same maize stripe matches on the pants as well. White pants are here to stay for the road unis, Harbaugh confirms. 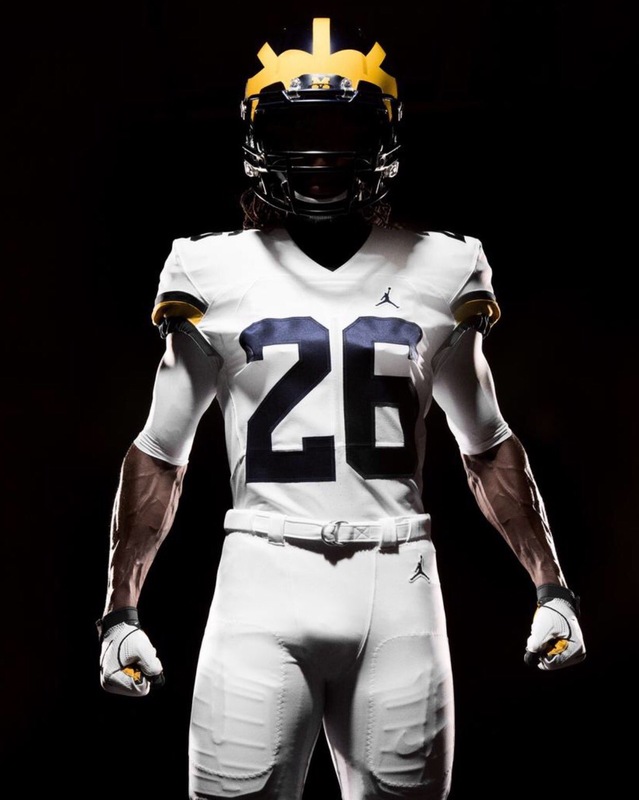 I'm on board, although I like the maize pants as well. Speaking of helmet, that's a matte finish. 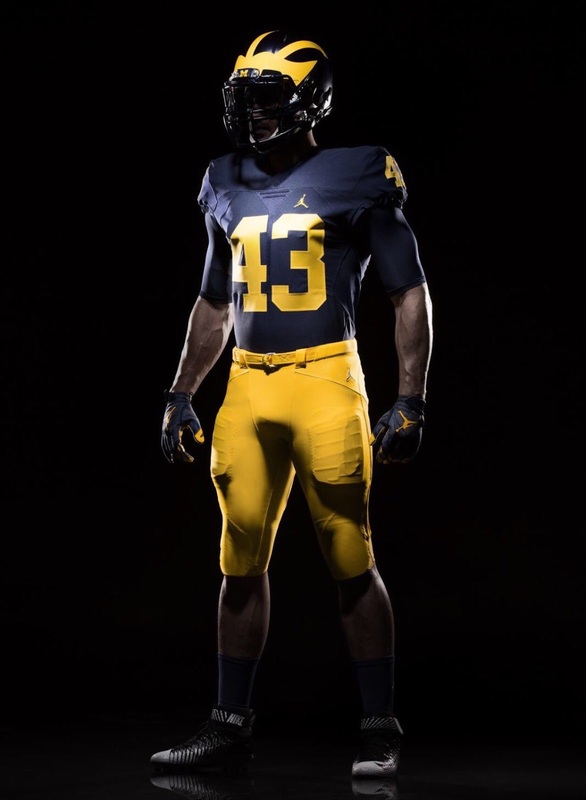 Not as matte-ey as the matte used in the Outback Bowl a few years ago, but it's close. We'll need the light of day to make a good judgement on that one. Word is, those will be the helmets used this year. As far as the shade of maize and the shade of blue, we'll need the light of day to make that decision as well.